When someone is filling out the FAFSA Application online it is always good to have your taxes in hand but it is not a requirement. When filling this out make sure you have the correct site. Possibly go through your college page and they can send you directly. There are lots of scammer pages out there that want your information. The FAFSA Official Website is secure so you can feel more comfortable. The correct ULR is http://www.fafsa.ed.gov/. The FASFA is a bit lengthy application but it is worth it to be able to go back to school to better ones self. The renewal process is a lot quicker with the years to come. One may think it is a pain for the first year when trying to apply but don’t worry it won’t be bad every year you apply. So don’t give up on the process. all of them but this enables them to see your FASFA so when doing your application you don’t have to exactly know which school you are wanting to go to. One of the most important things on the FASFA is to always try to put in the application by the priority date for the school and there may be extra benefits to be given if you do it by the priority date. I hope this helps out a bit and gives you a bit more confidence in filling out the FASFA. Read more FAFSA Tips from other students and parents who have been through the FAFSA process. Thank you Nicole for sharing tips on filling out the FAFSA application online. The official FAFSA website is free to use, and has some great resources. Best of luck to you in college. My name is Jenica Bonnell. I am from Santa Fe, New Mexico. I am 21 years old and will be finishing my 2nd year of college at the end of the spring semester. I will be attending my 3rd and 4th year of college at the University of New Mexico. My parents are both from Santa Fe as well as my younger sister. I have put myself through my first two years of school at the community college. Being a full time student and working at the same time has not been easy. Time management has been the hardest thing to learn. Putting my responsibilities before having fun has been harder than I thought. I have been able to live with my grandparents for the past two years and that helps minimize by bills, but I still have other things to pay for such as school, my car, insurance, etc. Growing up as the first born, my parents expected a lot of me. I have always been very independent since I was a little girl. I started working at the age of 15 to help my parents pay bills. My father is a painting contractor and his business does not always do well. My mother is a computer specialist and makes enough money to cover most of the bills. I still do what I can to help my family. I have always loved school. I like to learn new things and put my knowledge to use. College is very expensive, I always tell my younger sister “Your education is the most important thing, and no one can take away your knowledge”. I do believe that the more knowledge you have the better. When you put your skills and knowledge to use, you can do anything you set your mind to. Applying for scholarships and grants is the best way to go to school to earn your education. I applied for FAFSA for the first time this year. I recommend e filing your taxes as soon as you can; there is a deadline for FAFSA . Doing the application online is easy; however, I clicked on the first site that came up on my online search. After I filled out the entire application, it asked for a credit card number. The application is supposed to be free so I did some research online before submitting, and found the site asking for the credit card was a scam. Be careful with putting your information online. I found the correct, FAFSA official site and filled out the application putting in the information from filing my taxes. After it was completed, I received the amount of money I was eligible for. Take it from me, paying for college on your own is not easy; use the resources that are offered. With your education, you can do anything you put your mind to. Read more FAFSA Hints from other students and parents who have been through the FAFSA process. Thank you Jenica for sharing your tips about college financing. Living with relatives while attending community college is a great way to reduce the cost of college. Your experience with a FAFSA site asking for your credit card to file the FAFSA is important to share with others. It is free to submit a FAFSA financial aid application at the official FAFSA website – FAFSA.gov. We have links to all their key FAFSA information and tools at FAFSA Official Website. 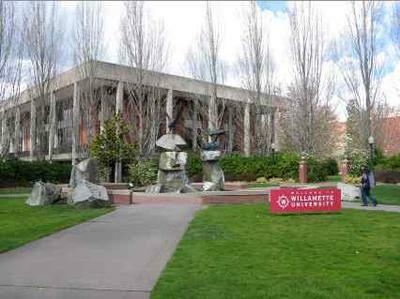 If you need assistance, many local colleges will offer free workshops or assistance. Check out our more FAFSA tips on securing financial aid at the links below. Good luck. It's true. FAFSA season is completely worse than April 15th. Tax day comes once a year, but a school loan can last a life time! I come from a family where only my mother actually graduated from college. This was in 1991. She had very little guidance for being college bound. Truth be known, she was unaware that you actually had to be accepted to a certain college and just drove 1500 miles with her parents and grandmother and was dropped off at the college steps with a blank check to pay for the first few weeks of college. Four years later, my mom never was even told about what a financial aid form looked like. She would have qualified for almost everything to be covered as things were tough for my grandparents - but no one knew anything about FAFSA back then. She is still paying back her college loans and has a masters degree loan that my family is working on paying off too. (But she loves being a teacher now, so that's cool, I guess). The simple advice I can give about filling out the FAFSA, is A. Use the government website that is the free one. (I spent an entire Saturday afternoon filling out the one that costs $75 before I realized it wasn't the correct website). B. Fill it out January first, every year and finally, C. Actually DO IT, stop talking about it and just do it! Today! Read more FAFSA Help and Tips from other students and parents who have been through the FAFSA process. Thank you Sebastian for sharing your tips on filling out the FAFSA. I like your acronym! We need to get the word out so everyone knows about FAFSA so they can get that financial aid for college. Thanks for sharing. FAFSA, FAFSA, FAFSA! Dont Give Up! - When filling out my FAFSA, it was confusing and kind of stressful at times. It's hard with times like these to put all of your information online. There were a lot of things I didn't know about FAFSA, to my understanding all I knew to do was to put how much you made for the year, and how much income tax did I acquire. Unfortunately, I was wrong. FAFSA had so many questions and things I had no clue about! It had taken me two days to complete my financial aid, but it didn't bother me because, in the end I was going to be on the receiving end of things. FAFSA was going to help me pay for college in a major way, so it was time and energy well spent. I encourage you, don’t give up it may seem like a never ending process but it will all be worth it in the end. Also, there are many FAFSA websites online, but they are not legitimate those are scams to get social security information, and other very personal information. 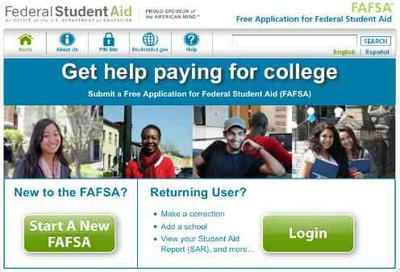 When you type in FAFSA in a search engine make sure you click on www.FAFSA.ed.gov which is the correct one. FAFSA, is very time consuming and can put a constriction on your brain, put take a break and relax and get back on it and when you receive our aid you will have a big smile on your face. So don’t GIVE UP! IT'S JUST FAFSA,FAFSA,FAFSA! Read more tips on FAFSA Help from other students and parents who have been through the FAFSA process. Thank you Destinii for sharing your encouragement to others to don’t give up with FAFSA. Yes, it can be confusing, and if it takes 2 days to get it right, it will be worth it, as you may be eligible for thousands of dollars of federal aid, state grants, and scholarships. Also you made a good point about FAFSA scams. We have links to the official FAFSA website which is where you should submit your FAFSA. Good luck to you.